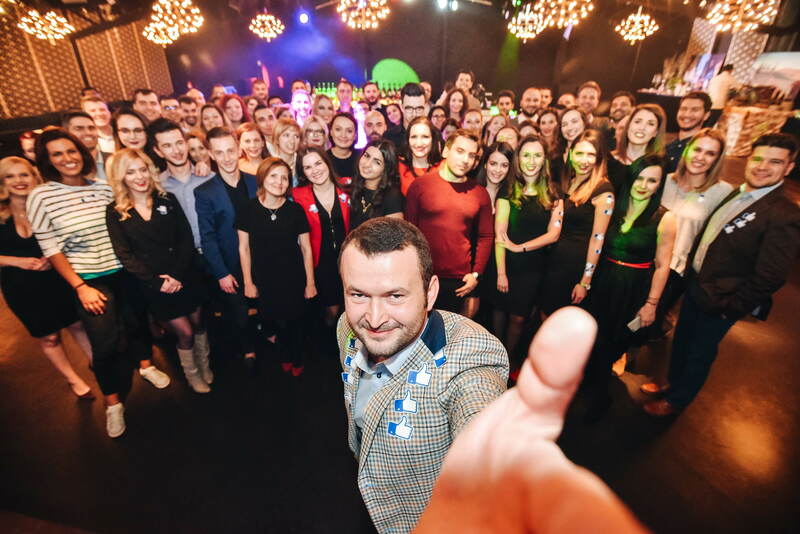 On November 2nd we celebrated 15 years of activity next to the best team in the world. Fratelli Lounge became dcs plus lounge for one night and one night only, and we just let ourselves enjoy a walk down memory lane reminiscing everything that happened since dcs plus started its journey. As many of you already know, we began in 2002 with a small team of just one, but with huge dreams and ambitions. Today, our company has reached an impressive number of 100 members. Two years later, in 2004 we took a bold challenge and started developing our first full-web based travel ERP and with it our endless road towards constant improvement; in 2005 TINA saw the light of day. As the years went by, we enriched our stack of smart tech solutions with TBS, AIDA, TRIP, CSBT, but also TravList (our first mobile app), reaching out and serving on almost 50 markets and sharing our know-how globally. We’ve paired our products with consultancy, thus offering our business partners tailored solutions to perfectly match their needs and expectations, hence consolidating our approach on the existing, but constantly changing market. Our sustained dedication, involvement and efforts were rewarded when Earlybird (one of the biggest investors in Europe) decided to become a shareholder in 2015, followed by Credo, a venture capital company focused on investments in Central and Eastern Europe that joined us as a new investor at the beginning of 2017, this re-confirming that we are on the right track. We’ve achieved a lot as a company and we are proud that we did it our way, but we couldn’t have done it without an amazing team of passionate people, without our partners that showed and continue to show their constant support and without having an enormous drive towards success. We’ve been through a lot and it was no bed of roses at times, but we’ve always had that stubbornness and eagerness inside us, that kept us going. We are 15 years old, but our journey has just started!